Natural Skin Care That Really Works! Welcome to My-Natural-Skin, your natural skin care guide. Here you can expect to find all the information you need to care for your skin naturally and avoid the nasty chemicals that are harmful to your skin and are found in so many of our skin care products today. You care about the chemicals you may be putting on your face and body. More and more we hear about the products made to make our skin more youthful and beautiful, are actually doing more damage than good. Most of the leading skin care products that are used on our faces and bodies day in and day out contain these harsh chemicals. You may have very sensitive skin making it hard to buy regular skin products. Like many other people it is another way to go green and do our part for our environment. What ever reason brought you here, you are in good hands! Everything you need to know about natural skin care is right here. All information is simple and straight forward. You won't be bored by skin biology terms or endless lists of chemicals that are bad for your health. We instead just give you what you need to know to start your own personalized natural skin routine. What exactly is natural skin care and what are the benefits to you? Caring for your skin naturally means you only use ingredients or products that are naturally derived such as herbs, roots, essential oils etc. You benefit by having truly healthy skin. Instead of the superficial fix you get from synthetic products, your skin will be nourished and healthy using natural ingredients. Natural healthy skin fights wrinkles and the signs of aging, helps keep skin clear, and ensures it will look as good as possible for as long as possible. Above all natural skin care that works and is good for you. The latest, most effective, proven to work natural products are provided saving you the work of doing the research yourself. There are natural products for every skin type and budget. Skin care recipes that are easy to make and will have you smooth and glowing in no time! A lot of ingredients you will need you probably already have in your kitchen, and whatever you don't have, we can tell you where to get it. Skin care remedies to relieve, heal or prevent several skin conditions such as itchy dry skin, acne, wrinkles, eczema, stretch marks and more. What to make sure is not in any of your skin care products. Information on natural makeup and the best places to purchase it. All of the foods and vitamins that will improve the looks of your skin. Whether you choose to make your own natural skin products or purchase them, everything you need to know to care for your skin naturally is here. Just click on the the navigation bar at the top left side of the page or below on the table of contents on whatever interests you. Make today your start towards beautiful, glowing skin the natural and healthy way! Find the best all natural skin care products and companies. Natural body care information that will have your skin super smooth and radiant. A natural bath could be the solution for any of your skin's problems. Natural anti aging skin care is the only proven way to help reduce and prevent wrinkles and have healthy youthful skin. Acne Home Treatments That Actually Work! Why waste your money on expensive products when these acne home treatments work better <em>and</em> are good for you. Find out how proper nutrition for skin is an important foundation for youthful healthy skin. Natural skin care recipes for every skin type. Natural facial masks,natural cleansers and more. Homemade beauty recipes for every skin type and budget. 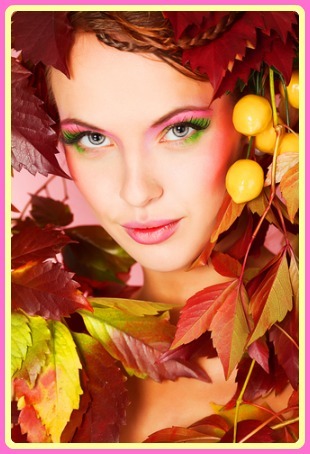 A list of skin care ingredients commonly used in natural skin care recipes. Find the most common and nutritious carrier oils for natural skin care. A list of common essential oils for skin care that can help relieve acne and even reduce wrinkles. The benefits of emu oil are amazing and range from acne treatment, reduction of wrinkles and relief from eczema, psoriasis and much more! Learn how to make soap with these easy to follow, step by step directions that even someone with zero experience can do. These common cosmetic chemicals could be in your skin care products. Find out which ones to avoid. The Natural Skin Care Blog keeps you up to date with all the additions and changes made to my-natural-skin.com website. Subscribe here. The Handcrafter's Companion has over 120 spa quality recipes you can make in your own kitchen. Step by step instructions for hand crafted soaps, bubble bath, bath bombs, butters, creams and more.